We have seen throughout our previous articles various examples of towns and regions using territorial marketing and regional branding to sell themselves and their products. They have cultivated a real feeling of community and belonging for their inhabitants and have tried to market this feeling to outsiders. But we now see that towns are not the only one who have understood the value of this. 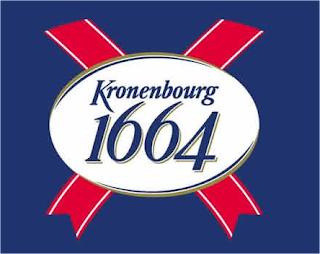 1664, a brand of beer, well known in France, has been having problems advertising on websites such as Facebook due to recent laws on alcohol advertising. They have come up with a specific concept that allows them to advertise indirectly for their product without having to worry about the laws. They have created an event called “Les Terrasses Bleues” (the blue terraces in French) which is a kind of gigantic block party where the only rule to get in is to be dressed in blue. This is definitely an interesting concept as much on a marketing level as on a legal level that should enable the brand to create a sufficient buzz around the event. On a different note, the reason I talk about this today is because Les Terrasses Bleues offers to decide of the next location through a game offered to Facebook users. Indeed, in a list of 7 major towns around France, the brand will submit one town a week to a vote in order to determine which town should be visited. Its strategy resides upon peoples feeling of belonging to a town to vote for it, using people sense of community to create the buzz needed for the event. 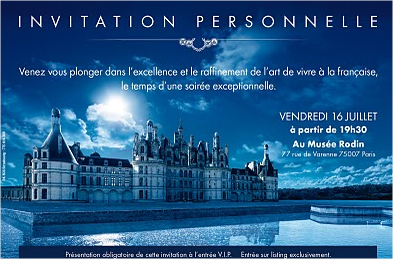 Moreover, this means that the brand is sure to go to the town with the most possible participants so it is a very clever process as well as it makes planning easier: organisers won’t have to question themselves about the turnout of the event and can very easily count possible participants as well as the number of people the advertising has touched. 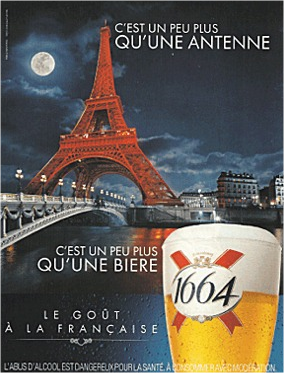 The ad uses the same basic colours used by the brand, blue (how surprising), and creates and embellishes the universe and values of the brand instead of putting the product forwards. All in all it’s a clever concept that has been well done… all we need to see now is: will it work in the long run? We have been asked if brands can use this kind of concept on Vkontakt for a Russian audience. Our answer was that it would definitely be interesting but we think it would not have the same impact as Vkontakt is not as widespread as Facebook. Moreover, it would be important for Russian cities to aim only those that have a strong connection to Internet. What do you think? Can this concept be easily exported to other regions than Western Europe?